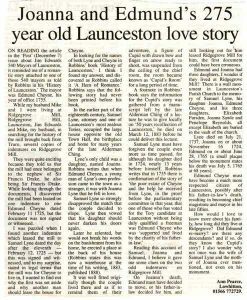 A Launceston love story | Launceston Then! Joanna and Edmund’s Love Story. Extracted from Mr Ching’s “Reminiscences of Launceston” by Jim Edwards 2005.